A career CIA official says he’s leaving the intelligence agency because of President Donald Trump. “Despite working proudly for Republican and Democratic presidents, I reluctantly concluded that I cannot in good faith serve this administration as an intelligence professional,” Edward Price wrote in a Washington Post op-ed published Monday. Price, who began working at the CIA in 2006 and resigned this month, cited several incidents as reasons for leaving, including President Trump’s address to the agency the day after he took office. 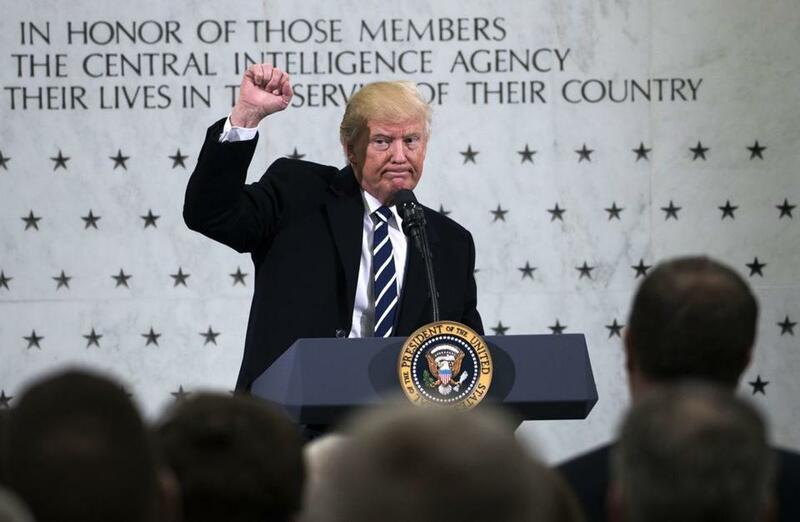 “Standing in front of a memorial to the CIA’s fallen officers, he seemed to be addressing the cameras and reporters in the room, rather than the agency personnel in front of them, bragging about his inauguration crowd the previous day,” Price wrote. Throughout the campaign and since taking office, Trump has had a fraught relationship with the US intelligence community. Trump has repeatedly called into question the validity of assessments that point to Russia as being behind the hacking of Democratic officials during the presidential campaign, and has promised an investigation into intelligence-related leaks. Price urged the Trump administration to go beyond “rallies at CIA headquarters and press statements” and make clear that the information and analysis gathered by CIA professionals is being seriously considered by the White House.